FEATURED ON SHARK TANK! 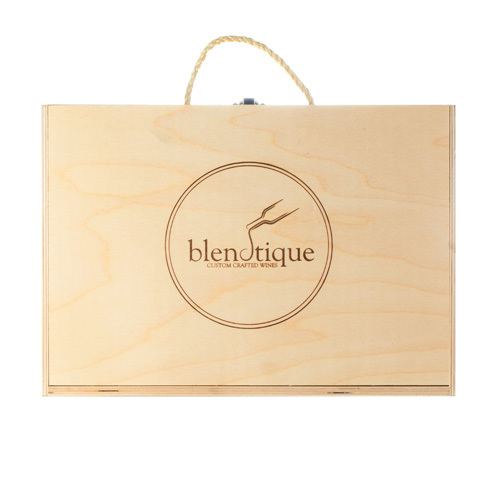 – Our one-of-a-kind Blendtique Custom Blending Kit comes packaged in an authentic wooden wine-crate and contains four premium single-varietal wines, an Erlenmeyer flask, 10mL measuring pipette, and easy-to-use instruction guide. 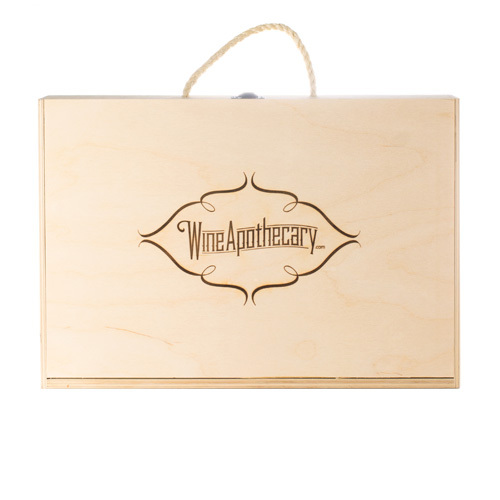 It’s everything you’ll need to experiment with wine blends until you’ve created a result you love, and is uniquely personal to you! FEATURED ON ABC’s SHARK TANK! 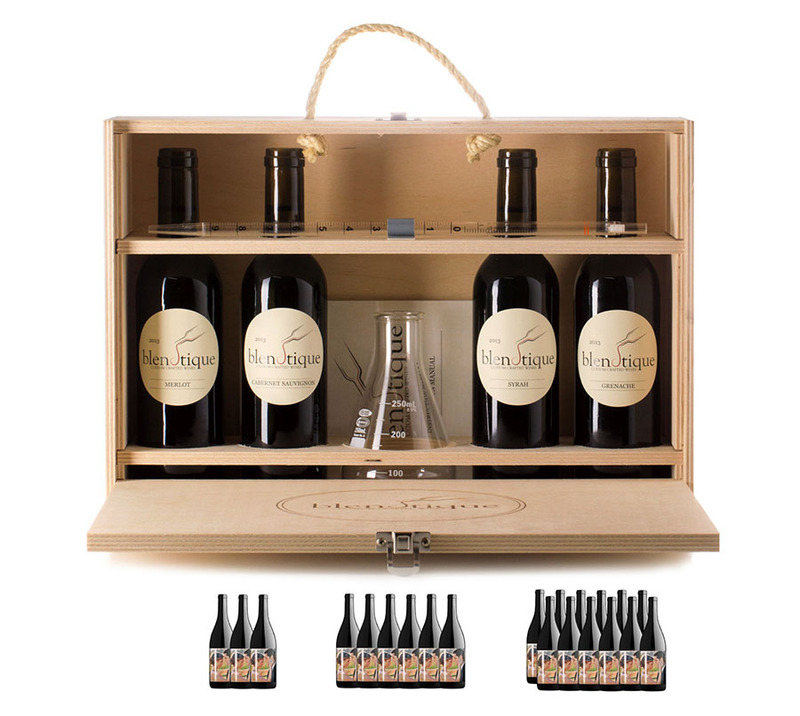 – Our one-of-a-kind Blendtique Custom Blending Kit contains four premium single-varietal wines: Cabernet Sauvignon, Merlot, Syrah, and Grenaché, an Erlenmeyer flask, 10mL measuring pipette, and easy-to-follow instruction guide. 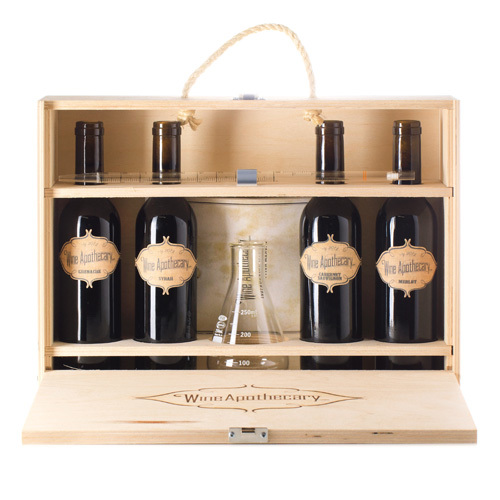 Use your kit to perform a series of flavorful experiments to help customize your ideal blend. 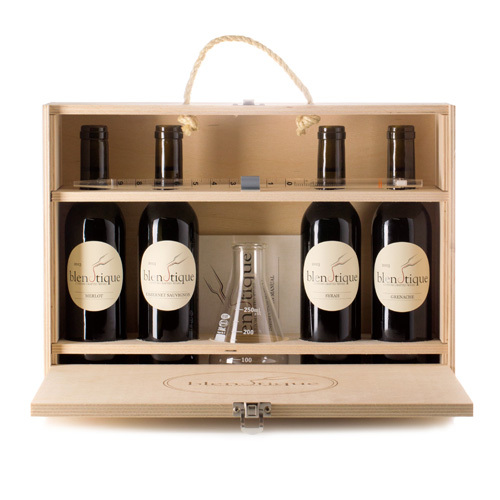 Through fun, trial and error, you can enjoy the wine-mixing process from the comfort of home. 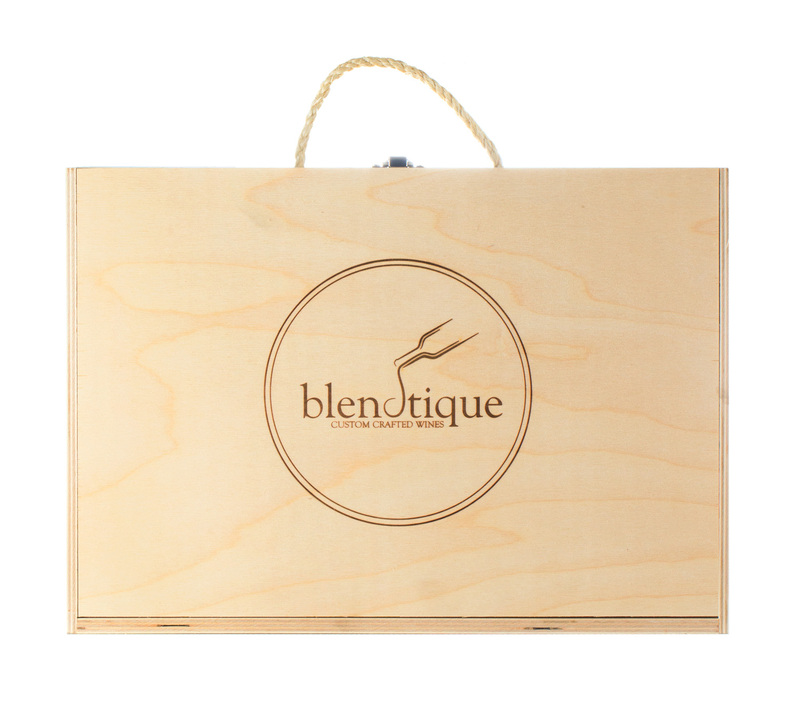 Once you’ve developed your perfect wine, proceed to Blendtique.com to upload your favorite recipe, design your entirely original label, and order your very own personalized wines.